Are you looking for paradise in Panama? Then look no further! Pedasi and our Azueros Ocean Lofts is the place for you, offering 5 Star luxury accommodation at affordable rates. All the Ocean Lofts are split level vacation homes. Each come fully furnished including fitted kitchen and high end appliances. Along with two queen size beds, 2 master bathrooms, AC, TV, WI FI, housekeeping and 24 hour security. The Ocean Lofts really are paradise on earth, blended seamlessly amongst tropical landscaping, steps away from the ocean and swimming pool. Couples, families and friends are all welcome. 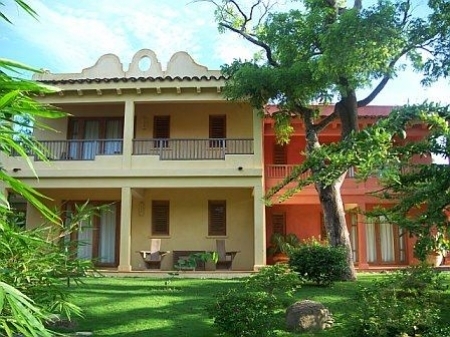 As here at the lofts we will endeavour to cater for each individual’s needs, whether you are looking for a romantic relaxing getaway or a fun filled vacation full of activities such as fishing, Island trips, surfing, Kite surfing, scuba diving, horse riding and hiking, you are guaranteed to enjoy every moment. 2 patios and 2 balconies with french doors for good ocean breeze. Daily Housekeeping/Maid Service Available by request.